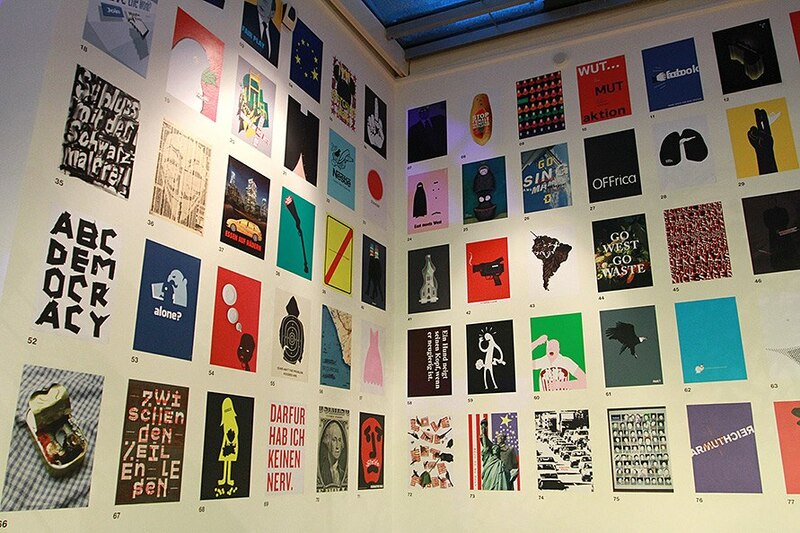 My poster ‘Dead Leaf’ has definitely been the defining moment of my design career so far. I know for certain I would not be where I am today without this poster. 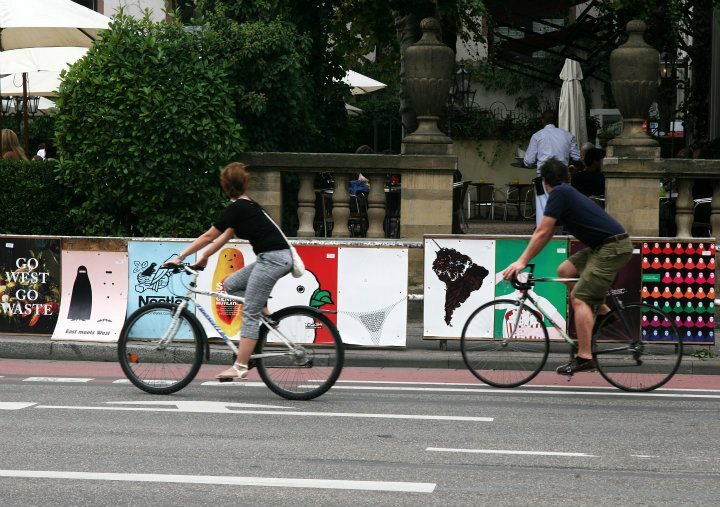 The important creation elements of this poster I remember quite vividly. I was constantly frustrated with the university projects I was given at the time which resulted in average marks. During the very last semester of my final year of study the students were given the freedom to create their own brief and that was when I was able to concentrate and focus on developing exactly what I wanted to achieve in a brief. I have always been interested in travel and adventure. As a child I was climbing trees, building tree huts, going into caves and strange places. I also am a huge fan of the Indiana Jones films and exploring exotic places around the world (not in reality but in books and videos). After 2 months of research I eventually arrived on the topic of the Amazon Rainforest and in the beginning of the project I wanted to communicate how magical the forest is to the people. However after a month of creating various images I felt the creations where lacking impact and power of which was quite frustration. So I decided I needed to research the Amazon Rainforest deeper until I found something I could grab with both hands. What I realised from the extra research was that although the Amazon has much beauty it has alot of deep and dark problems. Of which include issues such as deforestation, poverty, oil exploitation and drugs. The one issue that somehow connected to me was the deforestation. I guess the connection could be based on the climbing of trees and making tree huts when I was younger. It felt this time I was definitely on the right path and it just was a matter of time before I came up with the right poster to communicate the message that the project deserved. So I began sketching idea after idea for about 2 frustrating months and again I had the feeling that the project was stuck and it was going nowhere. Until one night I went to bed and I could not sleep. So I was just laying there and it was such a weird experience because suddenly everything started to come together in my brain. I will never forget that night for as long as I will live. Waking up at 7am I knew exactly what I needed to do that day. The first thing I did was to grab a plastic bag from underneath the sink in the kitchen and then I walked to the local park of which was only a few minutes walk. I carefully started to select the dead leaves from the park until I had my plastic bag full. One by one I began to scan them into my laptop and so the creation of the actual poster ‘Dead Leaf’ started to come into reality. 8pm and 13 hours later the poster was finished. I had no food during the process just a few cups of water. I guess I was so emotionally involved in this creation that I simply could not stop; especially after 5 months of frustration it felt like 13 hours of intense work was nothing. Little did I know what I was actually doing would change my life forever. 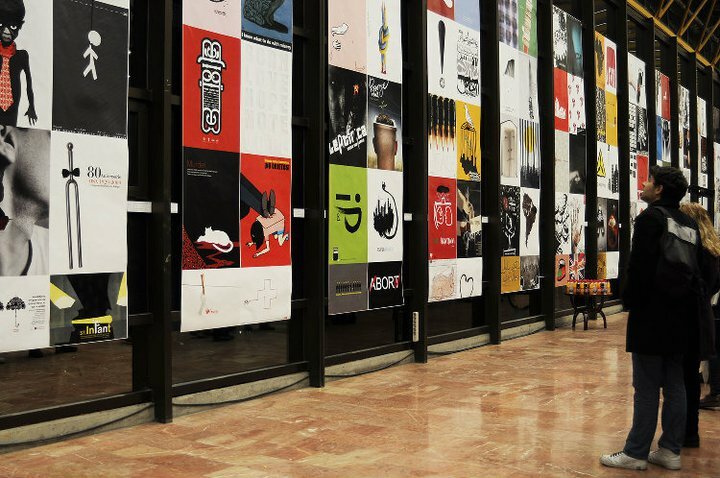 Just over one year later (June 2009) I would be sitting in Triennale Design Museum in Milan drinking an Italian beer in the cafe and my poster ‘Dead Leaf’ a few metres away from me after being selected for the international social poster competition ‘Good50x70′. 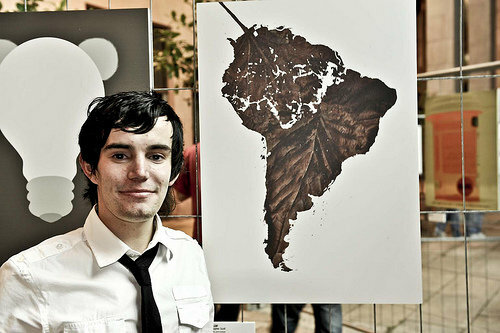 This was my first ever award and “Dead Leaf’ would continue to win awards (12 in total) and to be selected in exhibitions and events all around the world. 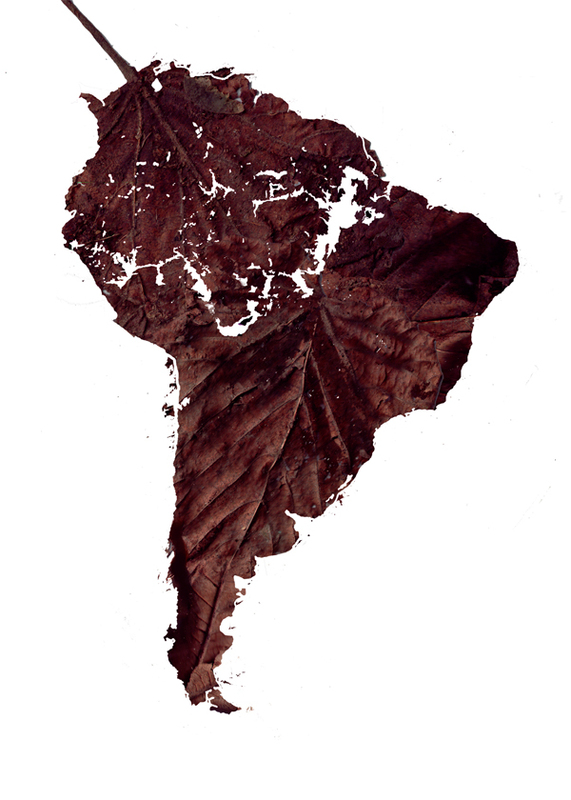 Since creating ‘Dead Leaf’ it was always my ambition to visit South America and finally just over 4 years later (March 2012) I would get that opportunity and also to give a lecture at the Universidad Metropolitana del Ecuador. 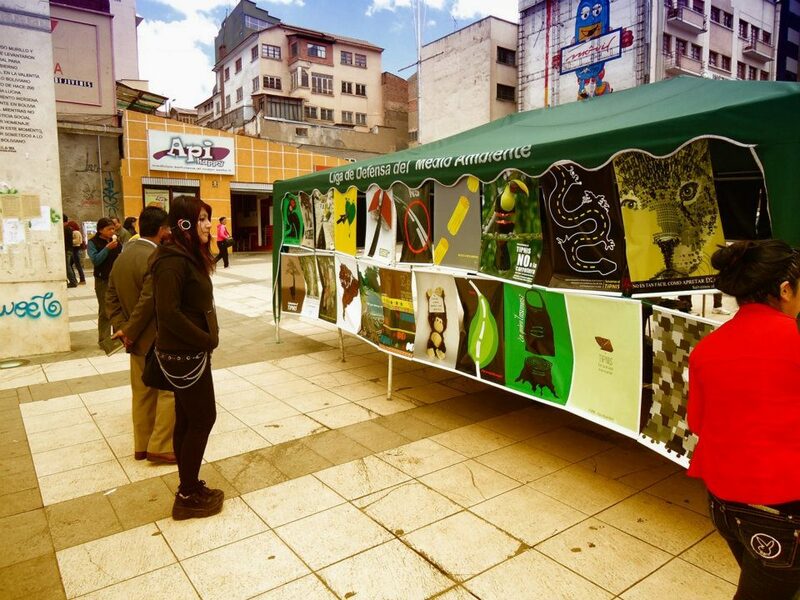 Later that year (September 2012) I went to Ecuador again to give a workshop this time and also to accept the position of Professor of Graphic Design at the University. When I look back at my poster ‘Dead Leaf’ it was definitely the link from where I was and where I am now. So the poster will always mean alot of me personally and it always will.